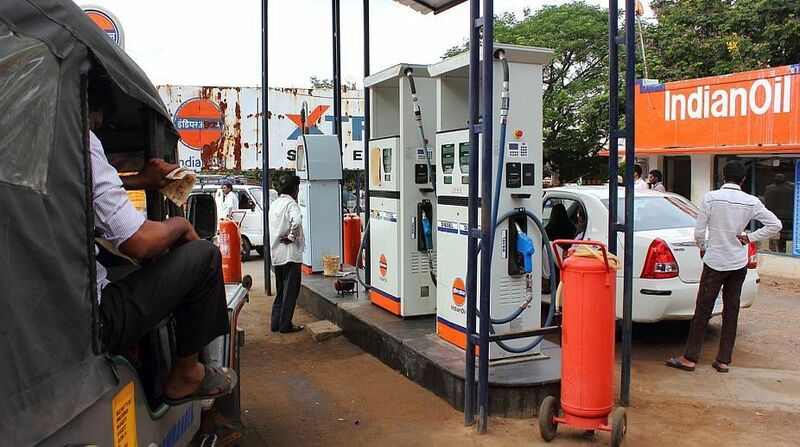 State-owned oil firms, which have been since June last year revising auto fuel prices daily, raised petrol and diesel rates by 18 paise per litre each in Delhi, according to a price notification. Petrol in the national capital now costs Rs 73.73 a litre, the highest since 14 September 2014 when rates had hit Rs 76.06. Diesel price at Rs 64.58 is the highest ever, with previous high of Rs 64.22 being on 7 February 2018. The Oil Ministry had earlier this year sought a reduction in excise duty on petrol and diesel to cushion the impact of rising international oil rates but finance minister Arun Jaitley in his Budget presented on 1 February ignored those calls. Subsequent to that excise duty reduction, the Centre had asked states to also lower VAT but just four of them- Maharashtra, Gujarat, Madhya Pradesh and Himachal Pradesh- reduced rates while others including BJP-ruled ones ignored the call. The central government had cut excise duty by Rs 2 per litre in October 2017, when petrol price reached Rs 70.88 per litre in Delhi and diesel Rs 59.14. Because of the reduction in excise duty, diesel prices had on 4 October 2017 come down to Rs 56.89 per litre and petrol to Rs 68.38 per litre. However, a global rally in crude prices pushed domestic fuel prices far higher than those levels. State-owned oil companies – Indian Oil Corporation, Bharat Petroleum Corporation and Hindustan Petroleum Corporation – in June last year dumped the 15-year old practice of revising rates on the 1st and 16th of every month. Instead, they adopted a daily price revision system to instantly reflect changes in cost. Since then, prices are revised on a daily basis.